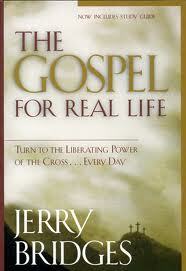 This is the perfect book for getting a clear understanding of the Gospel. It explains in great detail the meaning of what Jesus did on the cross... why He died, what He accomplished, and why we need to accept what He did for us. The author states "We cannot begin to understand the true significance of the cross unless we understand something of the holiness of God and the depth of our sin." After reading this book, you will have a greater knowledge of God and His holiness along with the realization that "We bring nothing to our salvation except our sin that made it necessary." Only one chapter I had a trouble with... the chapter on Faith. And he even points out that you may disagree. He says faith is a GIFT from God and that God makes us spiritually 'alive'... so that we may then believe. Sounds like predestination to me... not free will. He explains his belief of this in great detail and yet I still don't agree. I'm sure I will look into it further. That being said, it is only one chapter that I take issue with and it by no means takes away from the mass of great information in this book. You may agree with his view on the subject. This book was very well written. I began to underline the parts that I wanted to remember or even quote in my review... but there were so many good points, I would have underlined or shared most of the book! Jesus said to go and preach the Gospel. But how many of us have a full understanding of the Gospel ourselves? I thought I knew until the question was put directly to me and I realized how difficult it was to share with someone else. I began to ask myself "What is the Gospel? What do I tell people when they ask?" Then I set out on a quest to find out. I'm so glad I had the chance to read this book for review. If you want to share more than "Jesus, loves you", then you need to read this book! Plain and simple. Sounds like the sort of book I would enjoy; and would love to have on hand for those in my life that have trouble understanding the power of the cross. Absolutely! I will refer back to this book often. It explains the Gospel so clearly... I wish I'd read it long ago.